Description Scanned as B & W; creases. Same as 358b. Accompanying note: Club - Shakespearian, Osmoni Club. 1st row - Left to right: Eva Fox; Becky Fox (Martin); Edna K. Bickner; front K. Shannon Pettinger; Hazel Bruns; Mrs. Bessie E. Pettinger & Lois Pettinger; Mr. Howard; back of Mr. Pet. - Esther Lund; Lillian P. Bickner; Mary A. Bickner; Jessie Van Horn. 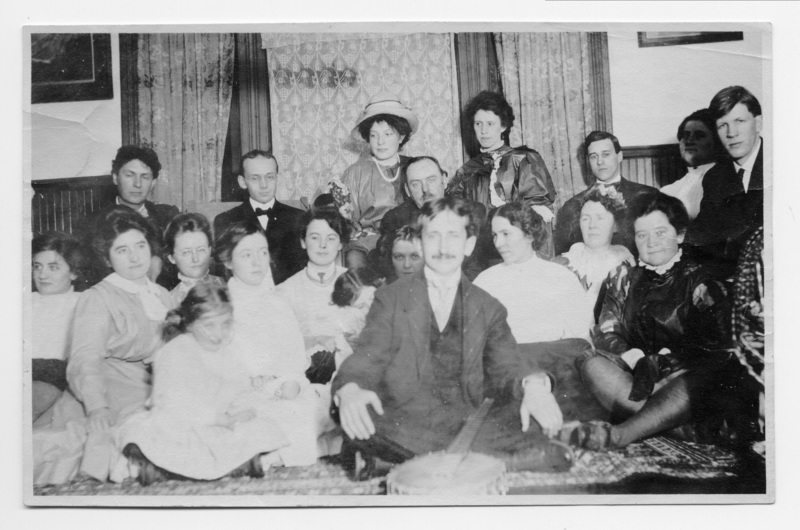 Back row - (l to r.): William F. Bickner; __; Hatie or Hedwig Bethke; Miss Mitchell; __; Norma Fox Haines; __Carlson.